Our Operating Practices are: EFFICIENCY – RESOURCE – PROFESSIONALISM – GUIDANCE. The legal process can be daunting to the general public and even to more sophisticated participants in the handling of injury claims. One of the fundamental objectives of the laws enacted by Congress for the benefit of injured workers was to ensure appropriate compensation for injuries delivered quickly and without legal delays. In many instances, the system of claims handling works seamlessly, with employers and there carriers delivering compensation to injured workers and facilitating their return to their normal, or alternative employment, without the necessity of legal process. 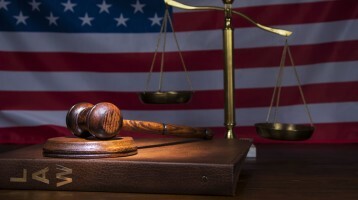 For those claims that involve issues requiring adjudication, the Association strives to work with the Department of Labor to bring claims to resolution expeditiously, but while affording all parties the necessary opportunity to present their issues fully, in a fair and transparent process. In short, the Association will work with the Department of Labor to ensure the system works as it was intended by Congress. The Association boasts immeasurable experience in the handling of claims for injured workers, just as the Department of Labor, at both the administrative and adjudicatory levels, has experienced claims and legal professionals, all of whom are interested in advancing the objectives of the constituencies they serve. The administration of claims can only benefit from each “side” being a resource for the other, in order to improve the system overall. By working together where we can, we can improve the claims process for all participants. The bar is fortunate to have experienced professionals representing both injured workers on the one hand, and employers and carriers on the other. The adversarial nature of the practice of law need not lack professionalism and collegiality. People working together to solve disputes advances clients’ interests far more than overly aggressive litigation methods, and the Association is committed to fostering professionalism at all levels of the claims process. The Department of Labor strives to implement regulations and policies to serve the public and enforce the laws adopted by Congress under its jurisdiction. While public rule making and comment periods are helpful, practitioners can provide valuable insight into the practical challenges inherent in practicing before an administrative body. The Association will provide recommendations to the Department of Labor for the joint benefit of the bar and our clients to help improve the administration of justice and meet our common objectives. Certainly, there will be instances where the “claimants” and “defense” bars differ in opinion, but we will work together to foster the best practices and to assist the Department of Labor in fulfilling its Mission. Developed by Daystar New Media, Inc.